Want to save some money on your Indiana insurance? We have some good news: It’s really easy to find cheap auto insurance when you live in Indiana. It’s the fifth-cheapest state for car insurance, as a matter of fact. Here’s our guide to finding affordable Indiana car insurance. But if you don’t have time to read all this, you can skip ahead and get your own personalized quotes on Compare.com. We make it easy to compare auto insurance prices and get the best possible rates. 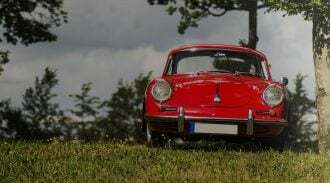 What are Indiana’s Auto Insurance Requirements? $25,000 in bodily injury liability per person and $50,000 per accident: Bodily injury liability pays for other people’s medical care and damages if they’re hurt in an accident you’re legally responsible for. It also can cover your legal expenses if you get sued. $10,000 in property damage liability: which pays for damage to other people’s property in an accident you’re responsible for. $25,000 uninsured motorist bodily injury (UMBI) coverage per person and $50,000 per accident: Uninsured motorist coverage pays for your medical bills if you get hurt in a collision caused by an uninsured driver. 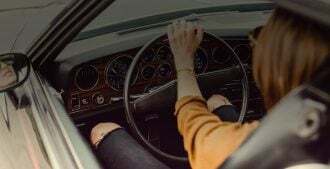 $50,000 underinsured motorist bodily injury coverage per person and $50,000 per accident: Underinsured motorist coverage kicks in if your medical bills exceed the amount covered by an at-fault driver’s insurance. $25,000 in uninsured motorist property damage: This pays to fix your car if it’s damaged by a driver who has no insurance, or in a hit-and-run scenario. When you’re comparing quotes for Indiana auto insurance on Compare.com, all these coverages will be included. You can opt to reject uninsured and underinsured motorist coverage, but you must tell your insurance company formally, in writing. What Company Has the Cheapest Auto Insurance in Indiana? That’s kind of a trick question, because there’s no single company that offers the cheapest car insurance for every Indiana driver. Insurance premiums depend on factors like your age, any blemishes on your driving history, and where you live. Fortunately, in Indiana insurance providers are not allowed to use price optimization, the sneaky practice of spying on your other consumer habits to figure out how price-sensitive you are. There’s just one way to find the cheapest Indiana auto insurance: compare personalized quotes side by side. Go to Compare.com, which gives you free and impartial quotes from multiple insurance companies, and enter some basic information about yourself and your vehicle. We promise to keep your info secure. To get your free quotes, select one of four levels of coverage: state minimum, Basic, Plus or Premium. Picking state minimum coverage will show you the absolute cheapest Indiana car insurance. Then, compare personalized quotes from multiple insurers to see who offers you the best deal. How Do I Find the Cheapest Indiana Insurance That Still Protects Me? Of course you don’t want to waste a bunch of money on car insurance. But you don’t want to be underinsured, either, or you might find yourself in major financial trouble after an accident. Compare.com can help you find the middle ground: cheap Indiana auto insurance that gives you sufficient protection for most situations. $56 per month is pretty cheap for Indiana auto insurance. But there’s a problem: state minimum coverage does not include comprehensive and collision coverage. So she opts for the Basic level of coverage, which adds collision/comprehensive with a $1,000 deductible. Her quotes go up, as you might expect, ranging from $104 to $174 per month, paid up front. But that makes sense — her car’s just two years old, and she needs insurance that will protect it in case of an accident. What about Plus coverage? The next level up gives her much higher coverage limits: 50/100/50 for bodily injury and property damage, 50/100 for UMBI, $2,000 in medical payments and $50,000 in uninsured motorist property damage. Not only that, but her deductible for collision/comprehensive drops to $500, and she gets rental car/towing coverage too. Her quotes for Indiana auto insurance at the Plus level aren’t that much higher than Basic. The lowest quote is $136 per month. So if she pays just $32 more each month, she gets a lot more coverage — and saves big on the deductible, should something happen to her car. Premium raises the bodily injury liability limits even more, to 100/300/100. It also includes $5,000 in medical payments and up to $100,000 in uninsured motorist property damage (which is a lot. Unless you’re driving a Mercedes-Benz S-Class, you’ll probably never use that full benefit.) For the Premium level, our hypothetical driver gets quotes between $147 and $282 per month. Once you’ve compared quotes, you can click “Customize coverage” to adjust your deductibles, add or subtract towing and rental car coverage, and customize other aspects of your policy. Is it Important to Have Medical Payments Coverage as Part of My Indiana Car Insurance? 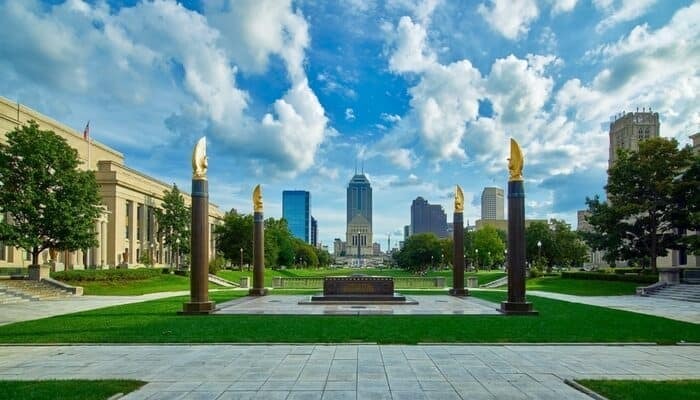 What is Indiana’s “No Pay, No Play” Law? In 2015, an Indiana law went into effect that prevents uninsured people from recovering noneconomic (e.g. pain and suffering) damages if they’re hurt in a car accident. It applies to anyone who has been previously cited for driving uninsured. How does it work? Let’s say you’ve gotten in trouble before for driving without insurance, and you’re still uninsured when a pickup truck smashes into you at a red light. The accident was 100% the other driver’s fault, and you suffer a bad neck injury that causes severe pain. You would be able to collect money for your medical bills and lost wages from the other driver’s insurance company, but nothing more for your physical and emotional pain and suffering. There are a few exceptions to this law, but in general, it’s just one more reason to always carry insurance. I Can’t Afford Indiana Car Insurance. What Happens if I Drive Without Insurance? Don’t do it! The penalties are serious. If you’re caught driving without insurance, you’ll have your license suspended for at least 90 days, and you’ll have to pay $250 to get it reinstated. Get caught a second time, and you’ll lose your license for a year, with a $500 fee; a third time, and the reinstatement fee goes up to $1,000. See – it’s a lot cheaper (and more convenient) to carry insurance! We can help. Compare Indiana car insurance quotes now.